For a lot of kids, Easter is not only fun because of the big basket of candy from the Easter Bunny, it’s fun because of all the crafts they can make for the holiday. Coloring Easter eggs and decorating their baskets lets kids be as creative as they want. This year, encourage your kids to make all sorts of crafts to give as Easter gifts to the family when they visit this holiday. Have your child make colorful cards out of construction paper. The cards can be in the shape of a big Easter egg, an Easter basket, a flower or a bunny face. Cut out small flowers to put around the cards shaped like an egg, and small eggs to put around the cards shaped like a basket or flower. For the inside of the cards, have your child draw a picture of what Easter means to them, write a few lines about what they like about Easter, or simply trace his or her hand or foot inside the card and color it in with bright colors. They can also draw little bunny footprints or chick prints on the cards. Another Easter craft that’s fun and easy for kids is making small Easter baskets out of construction paper. Cut long strips of different colored paper and then tape or glue the strips together in a grid-pattern, then fold in the shape of a basket. Your child can color the paper and add stickers before taping and gluing, and once the basket is ready, it’s the perfect size for a small gift. For gifts to put in the baskets, bake candies, cookies, brownies, or even banana bread individually sliced and wrapped. You can make small cookies and brownies to fill up individual baggies, or bigger ones with icing designs to put one in each basket. 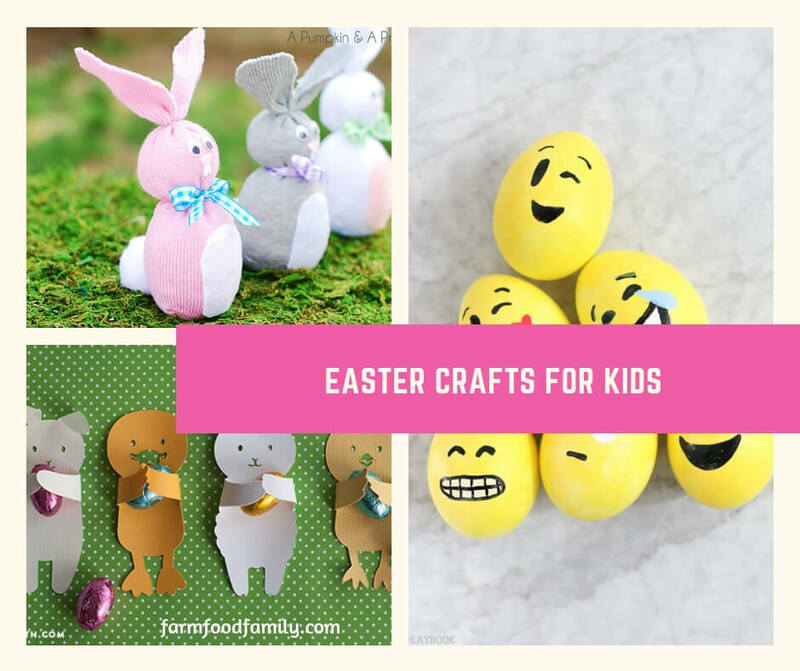 Work with your child on these crafts the night before Easter Sunday, or on the week of their vacation from school. Give them these suggestions for cards, crafts and gifts and also let them come up with their own ideas and designs so that they can feel proud of their creative Easter gifts for the family.